Memberships are available several ways. 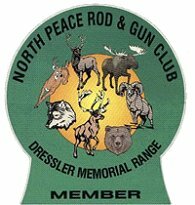 You can pick up a membership form at the club at Backcountry, 10120 – Alaska Road, Fort St. John, B.C. Alternatively, download and print off a form. Please attach your membership fee for mailing. Annual memberships run from April 1st to March 31st of the following year. Membership entitles you to full use of club facilities and shooting ranges when they are open and Reduced rates for the CORE Program for member’s children..